good call Milford....used ones of those are a bargain. Be careful of 1.9 DCi engines, they do blow turbos a lot. Neighbour of ours has had 3 turbos on his Scenic and is getting rid before the warranty runs out. He reckons the 1.5 and 2.2 ones are OK. We steered away from the Scenic because of his problems. IMHO I'd much rather have a Peugeot 406 than either the Laguna or C5. 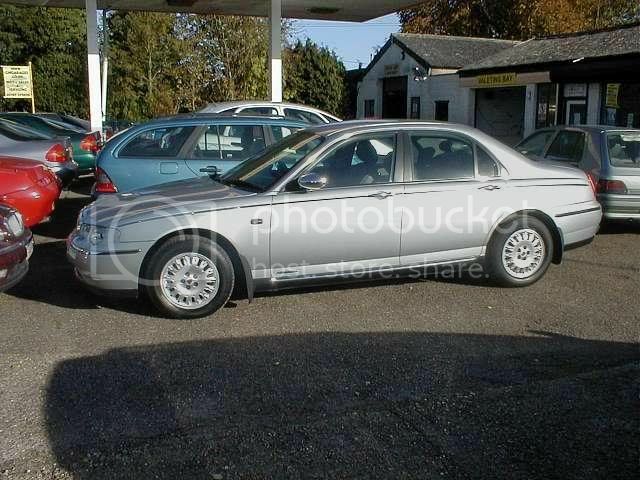 Nicer to drive, handles very well, lovely shape alhough I realise that it might look a bit 'old fashioned' now. More reliable, better build and super HDi engines. Last of the good looking Pugs as well, their styling has gone down the pan, rot started with the ghastly 307.I always like them since 'Ronin' which is not really a very 'rational' reason, - that film also fired me with passion for an Audi S8!!! ....The C5 appeals - I like Citroens a lot, and I know a very good independent Citroen Specialist - But I've yet to find one within my budget that isn't dog-eared, or with astronomical miles....Or both! If a nice one presents itself though, I could definately be tempted! Peugeot 406 is easier to dismiss....I just don't like them....I should, and I wish I did....But I don't....My interest in Peugeots stops around about the time the 205 was introduced, and they seem to be getting worse year by year....The peugeot 407 is probably the only car I actively HATE....I've driven one, and it's many attributes in no way compensate for it's overwhelming UGLINESS!.....Horrible! 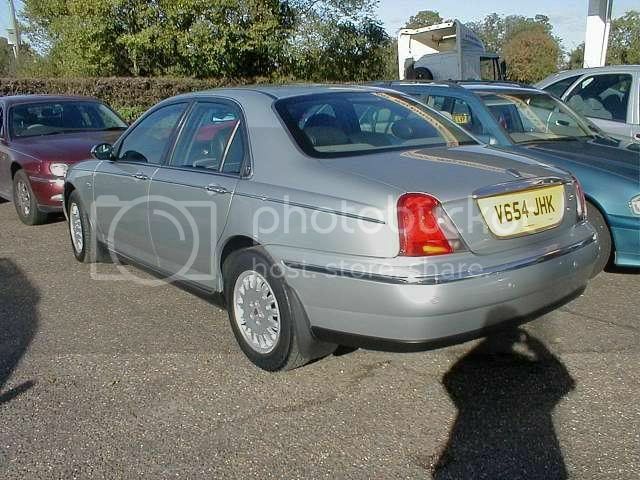 I got very excited when I saw the Rover 75s available within my budget....To me, a seriously classy car....Plenty of nice, low mileage, fully loaded ones about which were very tempting, but the choice of engines bothered me slightly....I'd never have a K-Series powered car, so that only leaves the potentially expensive to maintain KV6, which was a concern....Until Frances declared that "It looks like an old man's car" and that she doesn't really like it! That's that then, especially as she'll eventually be the main user! 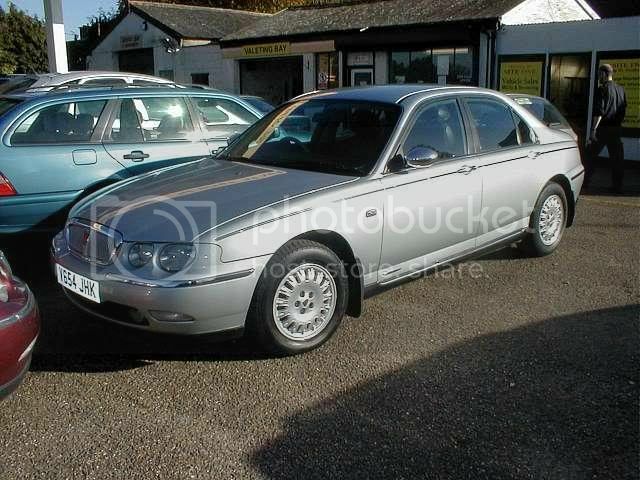 I found a nice 31,000 mile Mazda Xedos 6 SE Auto, with full Mazda history....Seemed promising, but the insurance quotes were horrendous as for some reason it's a group 16 (compared with 8 or 9 for a laguna)....I didn't want it enough to pay Ã‚Â£600 a year to insure it! Many others were considered, but dismissed on the grounds that they're pricey to run, dull, or Frances disapproved....Laguna seems to fit all criteria....If Vel Satis, New shape Megane, or Avantime were within budget it would be another story though! Last of the good looking Pugs as well, their styling has gone down the pan, rot started with the ghastly 307. 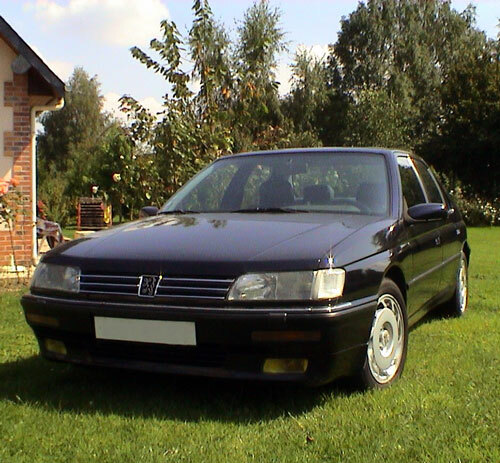 I sold Peugeots from 1988 to 2001 and would agree wholeheartedly that things went seriously downhill when they launched the 206 in 1998.205, 306, 405, 406 - all great looking cars with beautiful ride and beautiful handling, and better built than most Citroens and Peugeots (mind you the early Ryton 405s were terrible.) The 206 had neither a good ride nor particularly good handling and was average and the 307 was similar and ugly to boot.The 406 is a wonderful car to drive, and seriously good value at the moment. It will be my next car when my 405 finally expires. Considered 605, and (foolishly?) XM diesels, but it's seemingly impossible to find one without a zillion miles on the clock! 605s are wonderful to drive. Pretty reliable too as big French cars go. They are rather dated though as they didn't really change from 1991 until production ended. If I bought one it'd be an early one for about 300 quid.I nearly bought a diesel XM estate before I bought the Volvo 940 - much better handling and ride, but with about the same mileage as the Volvo (210,000) it felt comprehensively shagged, and like you say the diesels just don't seem to come up with low mileage. The last high mileage Citroen I had (CX TD estate) went bang at 90mph on the A11 about a month after I bought it so I was dubious about buying another one. The Volvo, by contrast, managed to drag a quarter of a tonne of my accumulated crap and a boat trailer at 80-90mph from the south of France to Calais without missing a beat. That's often been my experience of Citroens and Renaults - great to drive but they just don't cope well with age and mileage. Peugeots, for some reason, seem to last longer. After experiencing that interior, Frances is converted too! The deal is good, so provided it drives as well as it looks (no time today....going back Monday) I think I'll go for it....I can only think of two drawbacks to this car - It's group 14 on the insurance, and (as mentioned elsewhere here) it'll be a bit pricey come cambelt time....I don't really care though, because it's an absolute work of art! What is going on with that interior! ?Looks like a right dog's breakfast... wood AND cream leather AND black leather WITH cream piping... it's all too much! Ah, now that's more like it! 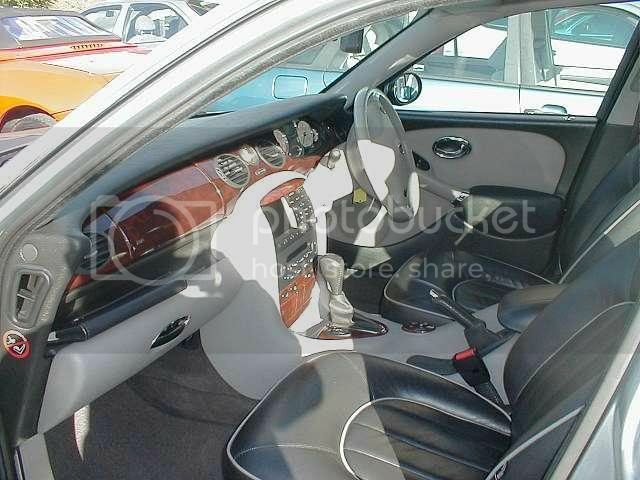 That interior has got to be worth at least a grand on its own. Pure class. Very smart indeed... Not my first choice of colour, but I suppose you ain't looking at the outside while driving! Are the head gaskets a bit more robust in these than the older engines? I have to admit, I like the handsome "retro" styling of the exterior....I like the idea of the 2.5 V6 which is still seemingly capable of giving me 25-30 mpg (or more if driven sympathetically, on a run apparently....Although I'll HAPPILY believe that when I see it! )....I like that it's an Auto, as I think that suits the car/my style of driving nicely....But it's really the interior that sold it to me - Even without all the bells n whistles that it's got(Climate control, Heated seats, CD autochanger, Sat-Nav, Parking sensors etc....) the use of materials and styling of the interior are fabulous....Really set it apart from the other stuff I've looked at, and IMO make it a great place to be! Admittedly, I'd have preferred the metallic powder blue (or black, or white....but that's just me ) but the car is so nice, with only two stone chips and one other minor paint imperfection, that I'll live with silver! The car was originally advertised at Ã‚Â£4295....But the deal offered is just under the four-grand, with what I feel is a fair part-exchange on the Volvo (given the damage)....I've looked at others with this sort of mileage and history (70,000....FSH) and they all seem to be about that price, athough most aren't as nice! The test drive appointment is made for 9am tomorrow morning....If it drives as well as it looks, I'm in for a treat! I quite like that interior, it's a bit cheesy but a welcome change from the black plastic brigade. Good luck with the test drive. Early 75s, they're gorgeous, and the KV6s sound brilliant. Buy it buy it!I adore the interior, it's amazing to think how different the 75 is from the mainstream family car norm compared with the 600. ....Including a cambelt change, service, 12 months M.O.T, and a 3 month warranty (for what it's worth)....So I'm happy! Brian, the salesman, just bunged the trade plates in it and sent me on my way, so I was able to take it for a decent drive, and really put it through it's paces....And stop somewhere quiet and have a really good poke around of course! What impresses most is the level of refinement....No rattles or squeaks anywhere, and a quality of ride that must rival that of a Citroen CX....Very surprising, and most welcome after the jittery Volvo on it's low profile tyres! Another pleasant surprise is the engine note....Very alluring - It's audible enough in the (otherwise silent) cabin to raise a smile, but not enough to become intrusive I think....I'll just have to try and resist the temptation to floor the throttle too often! I switched everything on (that I'm aware of anyway....But I kept finding new gadgets....The Sat-Nav doubles as a TELEVISION would You believe??? ) and it all seems to work as it should....And long may it continue! Reassuringly, during the test drive, the trip computer was reading 25.4mpg....And this was including extensive testing of "kickdown" in both SPORT and ECONOMY modes of the Auto 'box, and a 100mph run along Long Melford bypass to try and gauge what the motorway cruising would be like! I suppose I covered about 20 miles in total on the test drive, and the car impressed me in every respect....The only downside I can think of is that it doesn't have a sunroof....That's all! Collecting it Saturday (if not sooner)....I'll post more comments and some pics then....Can't wait! It definately feels "special" where the Laguna just feels "nice"....It reminds me of my Alfas (and some of my other cars) in that every journey, whatever the length, has a sense of occasion to it....I love cars like that........I suspect the keys may have to be prized from my hand when the R20 arrives, and I have to hand it over to Frances! Do make sure they do the tensioner as well when they do the cambelt Baz - get it in writing. We were exceptionally lucky to get away with it, Skoda recommend 40k changes of belt and tensioner, in fact the belt was so slack it had jumped a tooth and could have jumped off completely at any time. As they used to say on Hill Street Blues, "Let's be careful out there..."
Well done Baz!75's are lovely cars, its a shame BMW jettisoned Rover a year or so later just as the fruits of their investment were finally showing results with the 75 and the Mini.You're so right about the interiors, they are super places to be - the seats on mine are the most comfortable I've ever sat in! This is one of the reasons I'm keeping the car despite having a more 'modern' modern!Keep an eye on the coolant level - it does need checking every week - KV6's don't have the same HG faults as the 1800s, but it's better to be safe than sure, this is not an engine that takes abuse like a Pug diesel or B series!It's worth looking out for a good independent garage - and let them know about the parts supply from X part (owned by Caterpillar Logistics) and Rimmer bros - there's a lot of nonsense prevalent in the trade about parts availability. Ex main dealers vary a lot in ability - those that were part of big chains really don't want to know.Finally, I'd recommend this site for advice, etc. http://www.mg-rover.org/Beware of lots of little Englanders/anti French/German car bores in the general thread chats though!! !enjoy the car! Thanks for the comments/advice chaps! 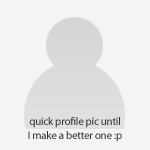 Finally, I'd recommend this site for advice, etc. http://www.mg-rover.org/Beware of lots of little Englanders/anti French/German car bores in the general thread chats though!! !enjoy the car! Funnily enough, I discovered this (what looks like a very good) site at the weekend whilst making my on-line, pre-purchase enquiries! I registered, and left my "Introduction" yesterday....See You there! That Hooondie is totes gopping.